Tori Kay Harris Photos, News, and Videos | Just Jared Jr.
Hayden Byerly cozies up to girlfriend Izabela Vidovic just before the start of the first ever Hayden’s Hope Totes Celebrity Scavenger Hunt held at Ruby’s Diner over the weekend in Redondo Beach, Calif. 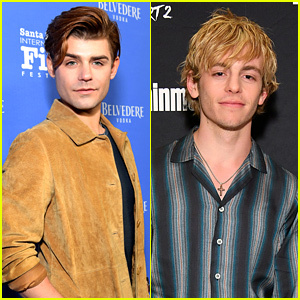 The two former Fosters stars hosted the event, which was attended by pals Kamil McFadden, Ryan Ochoa, Robert Ochoa, Spencer List, Jenna Nolen, Tori Kay Harris, Da’Vinchi, Noam Sigler, Frank Gingerich, and Morgan Gingerich. If you don’t know, Hayden started his organization at just 15 after speaking to real foster kids who were forced from their homes with nothing. ​You can read more about the organization online HERE.